Maggie Hope is back! As you may recall, Maggie is a Brit who was raised by her aunt in the U.S. after her parents alleged death in a car accident. After graduating from Wellesley with a degree in mathematics, Maggie went to England to sell the house she had inherited from a grandmother she didn't know existed. While there, World War II started and Maggie stayed in England to do her bit for the war. Oh yes, and she found out her parents were still alive. Her father, Edmund Hope, is a codebreaker at Bletchley and her mother, Clara Hess, is a Nazi spy. In this fourth book of the Maggie Hope Mystery series, it's autumn 1941 and Maggie is back from her mission in Berlin, Germany, living in Asisaig, Scotland, training SOE (Special Operations Executive) agents for spying operations in France and Germany, while she tries to heal herself own broken body and spirit. Maggie Hope has serious PTSD. Early one morning, after sending her trainees off on a rocky run along the shore, Maggie spots a dead sheep with open, oozing black sores. Later, when she is in Edinburgh to see her friend Sarah Sanderson in a dance performance, the lead ballerina collapses and dies on the stage, with the same kind of black sores that the sheep had. Soon, another dancer and her friend Sarah are also hospitalized, deathly ill and with the same sores. Jolted out of her depression, Maggie determines to get to the bottom of what is causing this. The case is solved quickly enough, but Maggie is none too happy when she discovers in the course of her investigation that the government is experimenting is some unusual secret weapons. At the same time, Maggie's mother is a prisoner in the Tower of London and has been sentenced to execution on December 7th at 12 noon. Clara possesses lots of knowledge about Nazi Germany that the British would like to have, but she will not give it up until Maggie or Maggie's father agree to visit her, something both have refused to do. And time is running out for Clara. Meanwhile, Churchill is fervently hoping the Americans will enter the war before it's too late for Britain to survive. Though Roosevelt is adamant about not wanting to get involved he is willing to send help to Britain in the shape of what Churchill calls "all of their oldest destroyers, held together with tape and taffy. They're keeping their best at Pearl Harbor…" (pg 125). And speaking of Pearl Harbor, the Americans seem to ignore every indication they have received that an attack by Japan is imminent, despite having already cracked the Japanese code. This was perhaps the most exciting part of the novel, reading the build up to the sneak attack on Pearl Harbor, knowing it was inevitable and reading about who knew what and what they did or didn't do with whatever knowledge they possessed. 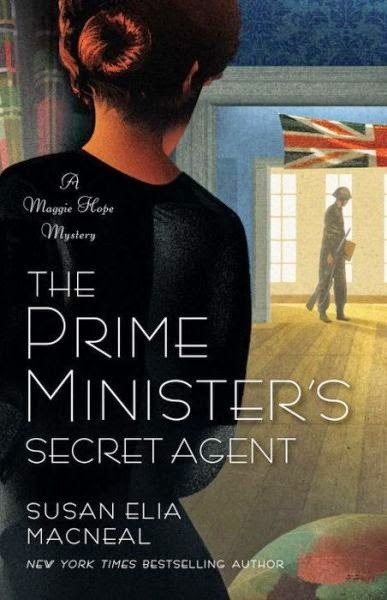 Although I really enjoyed reading The Prime Minister's Secret Agent, it is a somewhat different novel than the previous three Maggie Hope mysteries. 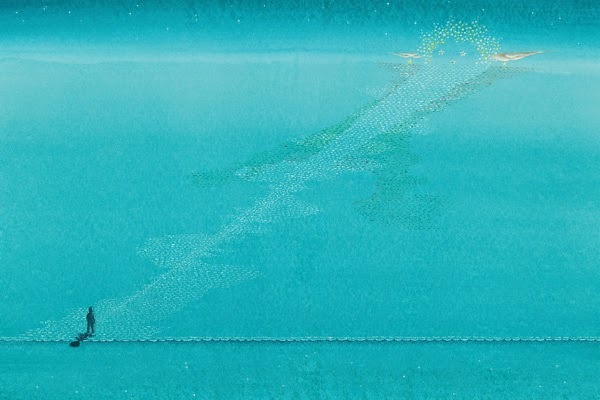 As I said, the mystery was solved more easily and quickly than usual, but there is still more happening. The focus switches from what is going on with Maggie, with Clara Hess, with Churchill, with important American officials, including J Edgar Hoover, and with important Japanese representatives and there is even a nice cameo appearance by Ian Fleming. It may sound a bit confusing, but it actually works quite well. I have to admit that when I was reading the bits about Clara Hess, I did think to myself "oh dear, Susan has jumped the shark." But no, I read on and it all made sense. She is good at what she does. While The Prime Minister's Secret Agent lacks some of the action of the previous novels, it does deal with some moral issues around fighting a clean or dirty war, particularly with regard to the idea of intelligence and whether to withhold it or share it, and the development and ethical use of chemical and biological weapons because of how they can impact innocent civilians. MacNeal has, once again, done some great research for this novel and I urge you to read her Historical Notes at the back of the book. There's lots of good stuff there that will enlarge on your appreciation of The Prime Minister's Secret Agent. I think for fans of Maggie Hope, you won't be disappointed by this novel. For those who aren't familiar with Maggie, this is a fine stand alone novel, enough background is provided so you won't feel lost or confused. In fact, you may even be enticed to read the previous mysteries. Here's a bit of good luck - there's another Maggie Hope Mystery in the works. Ever since the 1923 Munich Beer Hall Putsch in which her father sacrificed his life to save Adolf Hitler from the bullet meant to kill him, Gretchen Müller and her family have enjoyed a special place in Hitler's world. But now, in 1931, Gretchen, 17, has had the seeds of doubt about her father's sacrifice planted in her mind by none other than a Jewish reporter for the Munich Post, Daniel Cohen. Handsome and not much older that Gretchen, Daniel claims that Herr Müller's death was intentional and not only that, but was done by a fellow Nazi Party member. And it looks like Daniel Cohen may be right - the powder burns and bullet hole on the back of her father's shirt certainly seem to support the idea that Herr Müller was shot in the back. But who and why would someone do such a thing to a man who was always so loyal to Hitler? That's the mystery that Gretchen needs to solve and the only one who can help her is Daniel Cohen. Now Gretchen must overcome her ingrained aversion to Jews. She had always believed Hitler when he said that Jews were subhuman, but Daniel seems to be anything but. Solving the mystery of her father's death won't be easy for Gretchen. First, there is her older brother Reinhard, a psychopath who has found an outlet for his sadistic behavior as one of Hitler's Brownshirts. Reinhard loves nothing more than going out "Jew hunting" and delights in torturing his sister. When Reinhard makes her pay for snooping in his room, Gretchen soon discovers that she has no one she can turn to. Her mother is terrified of Reinhard, yet lives in a state of denial about what he is. Then there are Gretchen's best friends, Eva Braun and Hitler's half niece Geli (Angela) Raubel, both appearing to be as loyal to Hitler as everyone else that surrounds him and neither willing to interfere on Gretchen's behalf. When even Uncle Dolf, as she has always called Hitler, also turns his back on her, Gretchen begins to question everything she has always believed. As Gretchen comes to rely on and trust Daniel Cohen, and as Daniel begins to see the real young woman behind the Nazi facade that Gretchen must wear in public, they find themselves attracted more and more to each other. But Gretchen and Daniel also discover just how ruthless Hitler's quest for power is and why solving the mystery of Herr Müller's death may become a question of life or death for both of them. I found the plot to be weak and unfocused at times, and too often I felt like I was reading a history book instead of a novel. It was slow going a lot, followed by what should have been nail-biting tension if only I had cared more about Gretchen. Gretchen has everything going for her as a character. She is a strong young woman, somewhat independent, or as much as one could be as part of Hitler's inner circle of admirers, and open to changing her ideas about things even if reluctantly at times, but somehow she just didn't cut it. So, maybe I didn't care about her or anyone else in the book because I felt the characters didn't have much dimension. It was like I was told admirable or deplorable things about the characters, but I just never felt them to really be there. Even Hitler spoke more in slogans that dialogue. It was like a cardboard cutout was substituted for the real character. Even that fact that he also came across as lusting for Gretchen, Eva Braun and Geli Raubel didn't feel real. Maybe because most scholars believe he was asexual. Reinhard was a good picture of a Brownshirts, but also completely lacks depth and personality. Blankman introduces us to something called Cell G, a kind of early Nazi death squad. I have never heard of Cell G before, but it was apparently the subject of an exposé that appeared in the real Munich Post in April 1932. 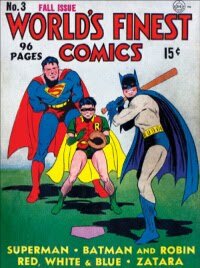 In fact, she seems to have relied heavily on a book by Ron Rosenbaum called Explaining Hitler: The Search for the Origins of His Evil published in 1998, especially for information about Cell G. In her Author's Note, Blankman refers her readers to this book, and even includes a pretty good bibliography. 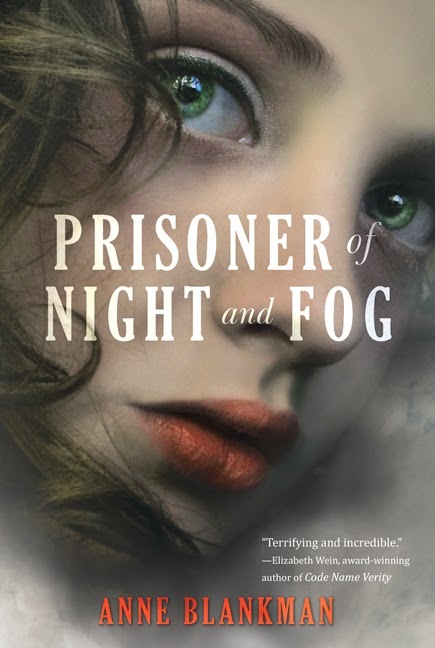 But the thing that really annoyed me was the term night and fog.' On pages 175-181, it seems to be equated with the idea of Jewish extermination. But the term has nothing to do with the fate of German Jews and I thought this too misleading to ignore. It came into use in 1941 with the passage of the Night and Fog Decree. Its purpose was the disappearance without a trace of any resisters or saboteurs in the occupied countries. Blankman is, however, correct in associating the term night and fog with the poem "Der Erlkönig" by Goethe. Deapite all this, at the end of the day, I would still recommend this book to anyone who really likes historical fiction, if for no other reason than because there are not many books written about these last days of what was called the Kampfzeit, or the Nazi time of struggle to gain power. You do get a sense of what it was like in 1931 and Blankman includes a number of figures like Rudolf Hess and Ernst Hanfstaengl who really were part of the Hitler entourage. 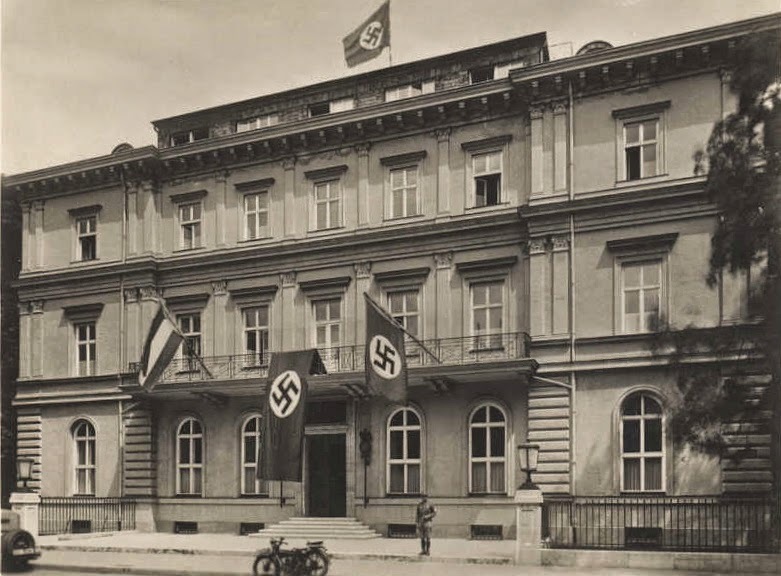 Nazi headquarters really was in the Braunes Haus, where Gretchen worked for Hanfstaengle. It's 1755 and life is difficult enough living on a farm, but for Josh Bedford, 13, life is made even more difficult with an older brother, Matt, who tortures him and a father he never seems to be able to please. But then, Matt lets him take the blame for forgetting to lock the barn door and letting the cow get loose. The cow ends up butchered and Josh ends up getting lashes from his father. Still in the throes of anger, it's not surprisingly that when his adventuresome hero, Uncle Harry, shows up shortly afterwards, Josh decides to run away. Josh stows away on the wagon his uncle is driving and eventually ends of at Fort Cumberland, where British Redcoats, rag-tag colonists and Native Americans have gathered as they prepare for war against French and other Native Americans. Sneaking away from his uncle who is still unaware that he has run away, Josh changes his name to Jed and ends up finding work with Daniel Boone after almost getting them both killed by a bear. But Josh/Jed also makes a friend in Oliver Cunningham, a 15 year old from Cork, Ireland who's a fifer for the British. After Daniel Boone is sent to Winchester, VA to get supplies, Josh/Jed finds himself working as a groom for Captain George Washington until Boone returns. All the while he must watch out for his uncle, knowing Harry would be forced to take him back home. Hanging around camp is good, but eventually they must pull out and while on the move, war catches up with them when they are attacked by the French and Native American soldiers. From his vantage point, Josh/Jed witnesses the massacre that follows. Suddenly Uncle Harry's adventurous life doesn't look so appealing to this young boy. Josh learns some valuable lessons in the 2 1/2 months he lives with the men involved in what came to be known as the first French and Indian War. His father had always accused Josh of being unreliable at a time when it was often of life and death importance, but from Boone and Washington, he learns the valuable of being reliable and the satisfaction of a job well done. From Oliver, Josh learns the true meaning of friendship and the importance of forgiveness. But the war, the slaughter of people he knew and walked among, leaves Josh a very different young man than the child who ran away. Teresa Irvin's Seed of Rebellion has its roots in a letter written by her 4X great grandmother describing some of the hardships she was facing on the family farm while her husband was away at Fort Cumberland with Captain Washington. As a result, she has written an historical coming of age novel that for all its quiet narrative style really packs a wallop. She pulls no punches in her detailed descriptions, so be prepared. But that authenticity makes this a very interesting book to read because, let's face it, the French and Indian Wars a/k/a the Seven Years War, is a unit that is really brushed over in social studies classes and most of us don't remember much more than the name. 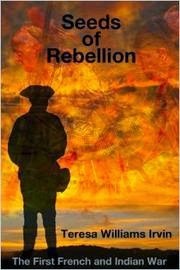 Given that, Seeds of Rebellion makes a wonderful supplement for any history class that is studying this period of American history. Josh is a great coming of age protagonist. Full of anger and self-pity that he isn't the favored son, he has lots to learn when he ventures out into a wartime world. Yet despite the time and setting of the story, what Josh learns about the world is not so different than what all kids hopefully learn. I love to look at scrapbooks. They tell so much in the words and pictures the person keeping the scrapbook chooses to use. I always had scrapbooks for school, camp, and family when I was growing up. The 1940s was also a time when scrapbooks were a popular way of remembering important people, events and other things. 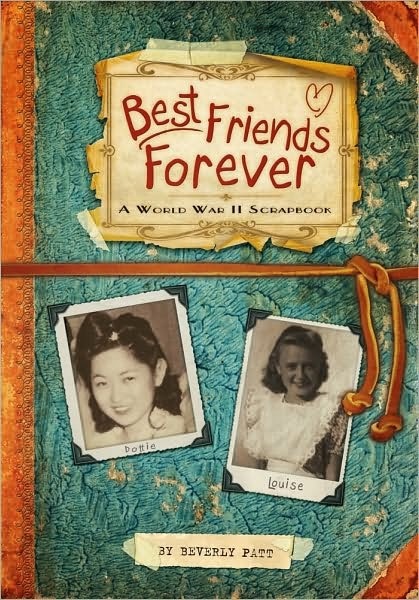 Louise Krueger, 14, begins her scrapbook on April 24, 1942, the day her best friend Dottie Masuaka has just left their Seattle neighborhood with her family to be ?relocated" along with everyone else who is Japanese or Japanese American until the world war is over. But no one knows what relocation mean and where it is. Through pictures, journal entries, newspaper clippings, and various mementos that Louise pastes into her scrapbook, the reader learns about how the Japanese were forced to sell homes, furniture, businesses and cars they had worked so hard to get for a fraction of their worth on very short notice; the kinds of appalling living conditions in slapped together huts or horse stalls they were put into and the attitude of many Americans towards anyone who was Japanese. But the reader also gets a picture of what life was like for kids during those first few months of war. New wartime restrictions quickly go into effect: rationing gas and a rubber shortage (tires were impossible to get) means trips are only taken when absolutely necessary; mixing yellow coloring into the white oleo to make it look like butter, the flyer from a Japanese Exclusion meeting about "keeping America for Americans." Louise also keeps all of Dottie's letters which talk about camp life, her grandfather's difficulty with what has happened, and many of them contain drawing she makes of camp life. Louise also keeps the program from the May Day Performance and her confirmation, two events she and Dottie had been looking for. And there's lots of realia - ribbons, notes from friends, flowers, movie stubs. And, of course, there is talk of boys. Louise meet a young man who lied about his age to join the Army and ended up in a hospital; Dottie is surprised that a boy they had thought annoying has matured in the camp and the possibility of a camp romance is hinted at. But then suddenly in September 1942 the letters stop. And no one is more surprised than Louise and Dottie when they discover why. This is an interesting way to look at the war. Anyone of Japanese ancestry was sent to an internment camp aftg\er the bombing of Pearl Harbor by Japan on December 7, 1941. Though the story is fiction, Beverly Patt got her idea for Best Friends Forever from a story her mother told her as a child and got the details of what it was like for Japanese Americans sent to the internment camps from a couple name Dave and Margaret Masuoka. The Masuokas gave Patt lots of details that helped her create and give depth and a sense of authenticity to the character of Dottie. You can read more about how Patt researched and created the scrapbook Louise keeps in an interview at Discover Nikkei. Be sure to read the Author's Note at the back of the book where Patt gives more background information for writing Best Friends Forever. And she includes an interesting Bibliography for anyone who might want more information about the internment of the Japanese during WWII. This is a wonderful book for introducing this aspect of WWII history to young readers and to help that, you will find a very useful Teacher's Guide HERE. Yesterday was Anne Frank's 85th birthday and so I thought I would take a look at the 2009 BBC/Masterpiece Theatre production of The Diary of Anne Frank. 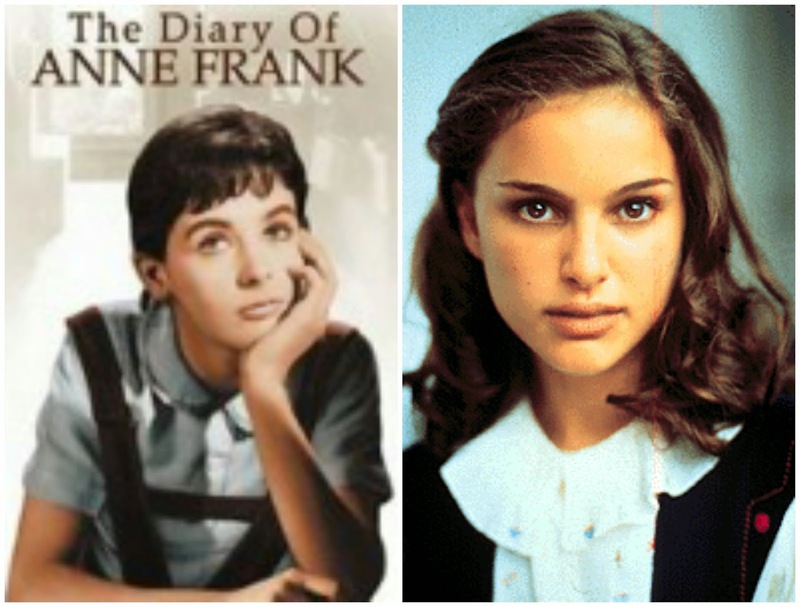 There have been a number of film and stage adaptations of Anne Frank's famous diary, chronicling the over two years spent in hiding from the Nazis. I have seen the 1959 adaptation starring Millie Perkins, whose portrayal of Anne as a wide-eyed waifish looking girl was, a little to flat and unrealistic. I think the movie reviewer said it best in his 1959 NY Times review: "…there does not surge out of her [Perkins] frail person a sense of indestructible life, of innocence and trust that show no shadows, of a spirit that will not die. She does not rise in the drama as a pillar of perceptible faith in man. She is reedy..."
Year later, in 1997, I saw Natalie Portman in a stage production of The Diary of Anne Frank, which I liked very much. I thought Portman did a very creditable job of portraying Anne and Linda Lavin was a truly wonderful Mrs. Van Daan. But the play closed early because it had been struggling to fill seats at every performance and when it didn't win any Tony awards, the produced decided to cut their losses. 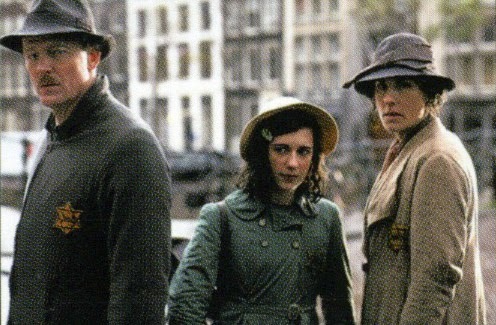 In 2010, a new production of The Diary of Anne Frank aired on television in England and the United States. I had watched it when it first aired on Masterpiece Theatre and watched it again last night. I realized that the thing that I found to be so powerful in this production was that it captured exactly was was missing from the 1959 movie. Anne was played by Ellie Kendrick, a young English actress who you may recognize from her role as Meera Reed in the Game of Thrones TV series. Ellie was actually 17 years old at the time she was playing 13 year old Anne, but I thought she brought Anne to life in a way that hasn't been done before. Here, at last, is a robust Anne that resembles a real 13 year old girl. She is self-absorbed, moody, impulsive, kind, fresh, loving, angry, flirty and curious. And she is fearful, as are all the occupants of that very cramped Secret Annex, their hiding place above her father Otto Frank's place of business, a pectin and spice company. Kendrick's portrayal of Anne is almost perfection as she brings all these mixed emotions and feelings out with perfect timing, and a wonderful flounce when she is obviously angry but silent. And we never lose the sense of "a spirit that will not die." FYI: Kendrick's version of Anne also finally talks about more intimate things like getting her period, her painful, messy, but sweet secret, and being curious about her changing body and budding sexuality - passages that were edited out of the her diary by her father when it was originally published. Anne's burgeoning sexuality was finally put back into the diary when the definitive edition was published in 1995. I think this makes Anne more of a person that a symbol and I am rather glad that when she adapted the diary for this production, Deborah Moggach included it in her well done screenplay. The film is done with a lot of voice over using the content of the diary, and just enough dialogue to move time along. Additionally, the tension among the residents of the attic as time went by, as food shortages increased and the abject fear they felt each time there were noises near the attic door that they were about to be discovered by armed Nazis is simply payable and will set your heart racing. But knowing the ultimate outcome of all the lives in the attic makes this beautifully done film so very difficult to watch. But do watch it, nevertheless, especially if you haven't seen it yet. You can watch an OK version of the entire film on YouTube, but the film is also available at the library, or you can purchase a copy, and PBS occasionally reruns it. "History cannot be written on the basis of official decisions and documents alone. If out descendants are to understand fully what we as a nation have had to endure and overcome during these years, then what we really need are ordinary documents - a diary, letters from a worker in Germany, a collection of sermons given by a parson or priest. Not until we succeed in bringing together vast quantities of this simple, everyday material will the picture of out struggle for freedom be painted in its full depth and glory." "I want to be useful or bring enjoyment to all people, even those I've never met. I want to go on living even after my death! And therefore I am grateful to G-d for this gift, this possibility of developing myself and of writing, of expressing all that is in me. I can shake off everything if I write; my sorrows disappear, my courage is reborn. But, and that is the great question, will I ever be able to write anything great, will I ever become a journalist or a writer?" Poignant words from a writer whose diary has touched so many people. Koji Miyamoto, 13, his American mom and Japanese dad have been living a quiet life in San Francisco. But when the Japanese attack Pearl Harbor on December 7, 1941 all that changes immediately. Koji secretly fears his father may have been part of the attack since he was in Japan when it happened taking care of his sick father. At school, he is picked on by a group of bullies, the trolley operator won't let him on the board and the government has taken away the family radio, insinuating that all Japanese are spies. Finally, Koji's mom receives a letter saying that he is to be sent to a "relocation camp" which is nothing more than the Alameda Downs, a former racetrack. His mother decides to go with him, but because she is white, not Japanese, she and the camp commander become friends. Koji, who is called Gaijin (outsider) by the other Japanese boys finds himself getting bullied by them. After getting caught fighting, an elderly old family friend man, Yoshi Asai, takes Koji under his wing. But after the two create a Victory Garden, the bullies go after it night after night. Koji finds himself getting more and more angry as the days go by, at the government for putting them in horse stables and then treating them like they are all criminals; at the bullies for making him feel like he doesn't belong anywhere. Pretty soon a rift develops between Koji and his mom, fueled by the bullies repeatedly calling her the camp floozy. The bullies set up all kinds of dangerous tasks for Koji to do with the promise of belonging as his reward. As the tasks get riskier, Koji faces the possibility of being sent to a very unpleasant correction facility alone. Is his desire to belong or his anger so great that his is willing to risk that fate? Or can the gentle elderly Mr. Yoshi Asai help keep Koji from getting into more trouble? 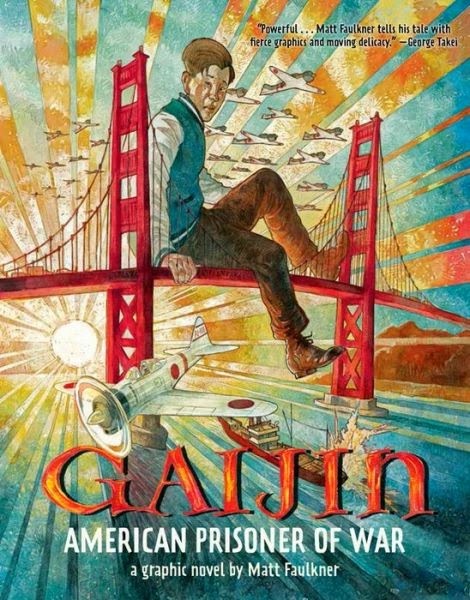 Gaijin: American Prisoner of War is based on a true story from author/illustrator Matt Faulkner's family, as he explains at the end of the story, making it personal and affecting. Using the graphic novel format, allows the reader to see the anger, confusion, fear, all the understandable feelings of a young man forced to live the way the Miyamoto's were, and being treated like an enemy alien because of his race, not his citizenship. 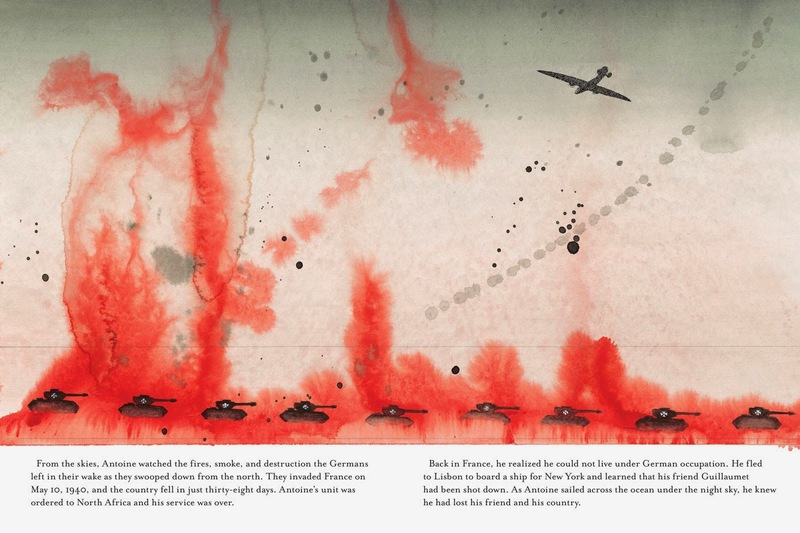 The illustrations are done using watercolor and gouache in rich vibrant colors very reminiscent of the early 1940s. Gouache is the perfect medium for this graphic novel, with its large bold energetic images, sometimes only one to a pages, other times as many as five. Much of the story comes through the illustrations, with little text but together they really capture every humiliating element of the internment of the Japanese in WWII. The more I read graphic novels, the more I appreciate them. When they are done well, as Gaijin is, they can be a way of introducing difficult topics to young readers and may serve as a way to interest reluctant readers. Another excellent book about this still not widely known about part of American history. Today is the 70th Anniversary of the invasion of Normandy, the event that ultimately turned the tide of World War II in favor of the Allied forces and began the liberation of occupied Europe from the hands of the Third Reich. What better day than today to review a book about D-Day, all the more so, since I have to be honest and say that, from a military standpoint, I don't know much about the actual invasion. I have read some books about it, but most were fiction and they were more about the protagonist than the invasion. 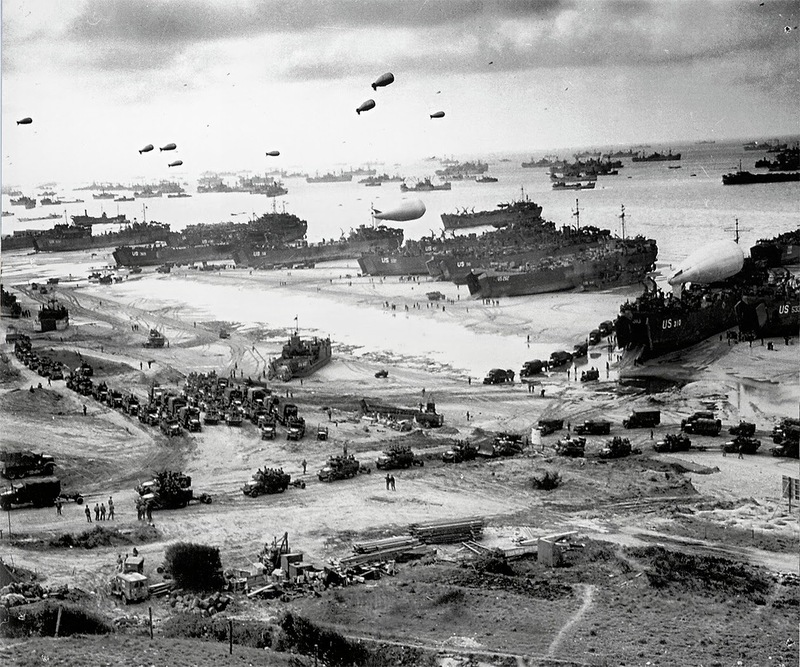 In truth, when I look at a photo like this one of Omaha Beach on D-Day, the dyslexic in me sees so much chaos, I don't know how the invasion succeeded. But now, Rich Atkinson has adapted his adult book The Guns at Last Light for younger readers, focusing on the plan. the preparation, the invasion on June 6, 1944 and what happened in the days that followed. Atkinson begins by taking the reader into the closed door meeting at St.Paul's School in London where admirals, generals, field marshals, logisticians and staff, as well as Prime Minister Winston Churchill, General Dwight Eisenhower and even George VI, the King of England, had gathered for a final review of the D-Day plan. And what a plan it was. It wasn't just a question of hitting the beaches and then pushing back the Germans. All kinds of necessities that you might not realize were needed had to be considered and obtained: things like 301,000 vehicles, 1,800 train locomotives, 300,000 telephone poles, 60,000,000 K rations and a lot of chewing gum, to name just a fraction. Even the number of crosses that would be used on the headstones of the casualties had to be thought about. And then, the soldiers had to be trained before the invasion. For months, all over England, different kinds of military maneuvers were practiced over and over again. The planning logistics are interesting, but most poignant of all is the actual invasion. Atkinson makes it clear that the decision to go ahead with the plan was been a very difficult decision for the Allied leaders to make right up to the last minutes, particularly given that weather conditions weren't ideal. Eisenhower had doubts and fears right up to the night before, even writing a note taking for responsibility should the invasion fail. But the invasion didn't and Atkinson does an excellent job of breaking this very complicated event and making it comprehensible for younger readers, and me. Certainly, the Normandy Invasion went off with plenty of hitches, but reading about what these brave men managed to accomplish despite that and despite their own fears is what makes the story of D-Day so incredible. There are plenty of photographs and maps throughout the book and Atkinson provides lots of interesting front matter such as lists of countries involved, both Allied and Axis; a WWII timeline; and an extensive who was who. Included back matter has lists of fascinating facts that aren't usually found in histories of D-Day: like the kinds weapons carried by troops; information on carrier pigeons, which were used extensively throughout the war; on Operation Fortitude: the Inflatable Army; how the wounded were cared for; equipment carried by new GIs and more. These are exactly the kinds of concrete details that appeal to many readers. My favorite: what K Rations consisted of. Now when I look at the picture above, I don't see just chaos, but an as-well-as-humanly-possible-well-orchestrated plan of attack. 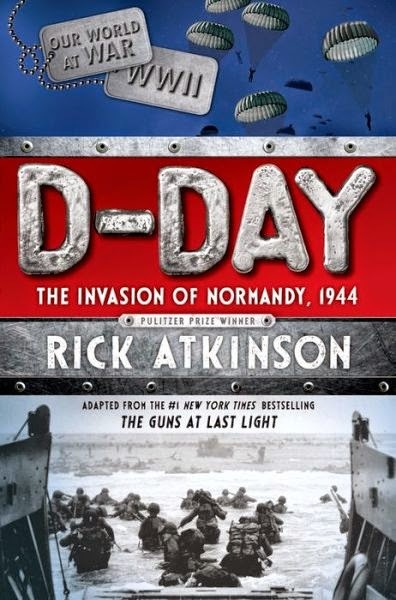 D-Day: The Invasion of Normandy, 1944 is an excellent overview of this important wartime event and should appeal to any young reader with an interest in history, WWII and/or military matters. 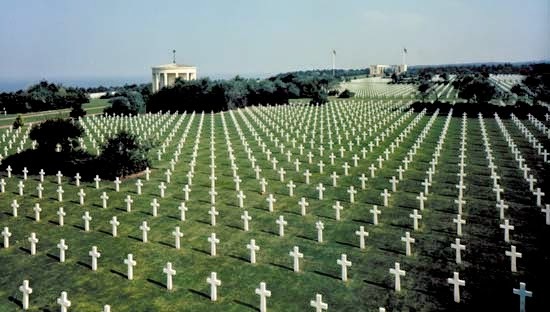 And in the end, when I see the row upon row of headstones for the soldiers in the different Normandy cemeteries, it really gives me a whole new appreciation for the meaning of the words The Greatest Generation. Last year was the 70th anniversary of the publication of The Little Prince by Antoine de Saint-Exupéry and in honor of that The Morgan Library in NYC had a special exhibition exploring the origins of this most famous of stories. Having such an exhibit in NYC seems only fitting, since The Little Prince was written in New York while Saint-Exupéry was living here. He had left his beloved France after it had fallen to the Nazis in June 1940. 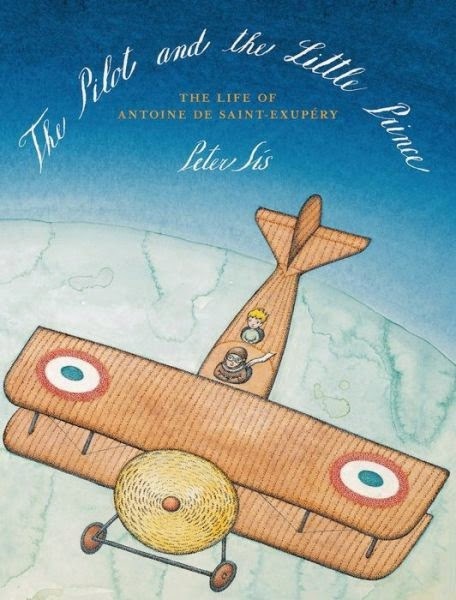 While the exhibit was still running (unfortunately, it has ended), I went to hear Peter Sis speak about his new biography, The Pilot and the Little Prince: The Life of Antoine de Saint-Exupéry. Sis begins this biography with information about Saint-Exuépry's early life and the beginnings of his passion for planes and flying. Saint-Exupéry was born around the same time that flying was just getting off the ground - he was only three years old when the Wright brothers flew for the first time in Kitty Hawk, North Carolina. A passion for planes and flying stayed with Saint-Exupéry and when he was 21, his mother finally agreed to pay for him to take flying lessons. Sis follows Saint-Exupéry's career as a pioneer air mail pilot, delivering mail in Europe, West Africa and eventually South America, charting various routes for other pilots to follow, sometimes living on airfields in complete solitude, other times negotiating ransoms for pilots who had been shot down hostile nomads. Those early days of aviation weren't easy. Pilots had to battle through wind, rain, and storms, but aviation remained Saint-Exupéry's passion. In 1936, Sis recounts, while trying to break a flying record, Saint-Exupéry and his mechanic crashed and almost died in the desert. You may recall that the narrator of The Little Prince was a pilot who had also lived in solitude and then crashed in the Sahara Desert and it seems likely that the origins of The Little Prince come from this experience. Not surprisingly, Saint-Exupéry had already began publishing his aviation stories as early as 1926. When France went to war against Germany in September 1939, Saint-Exupéry naturally signed on to be as a pilot. After France fell to the Germans, he and his wife traveled to the United States, which is when Saint-Exupéry wrote the little prince while living in a lovely home on Long Island. But after the tides of the war began to turn, he returned to Europe and began to fly missions out of North Africa, his last one was on July 31, 1944, when his plane disappeared into the sea near Corsica. 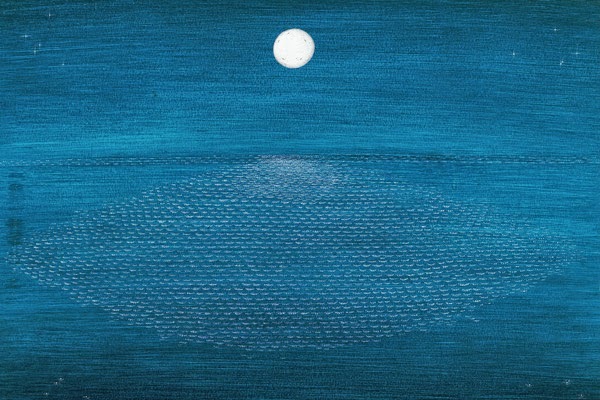 When Peter Sis creates a picture book, it is a feast for the eyes as well as the mind. He has a way of telling a story using basically short, simple declarative sentences, which are sometime wrapped around an illustrations within an illustrations, and by the end of the story, you have been given so much more than you had expected. And, I am happy to say, The Pilot and the Little Prince is no exception. 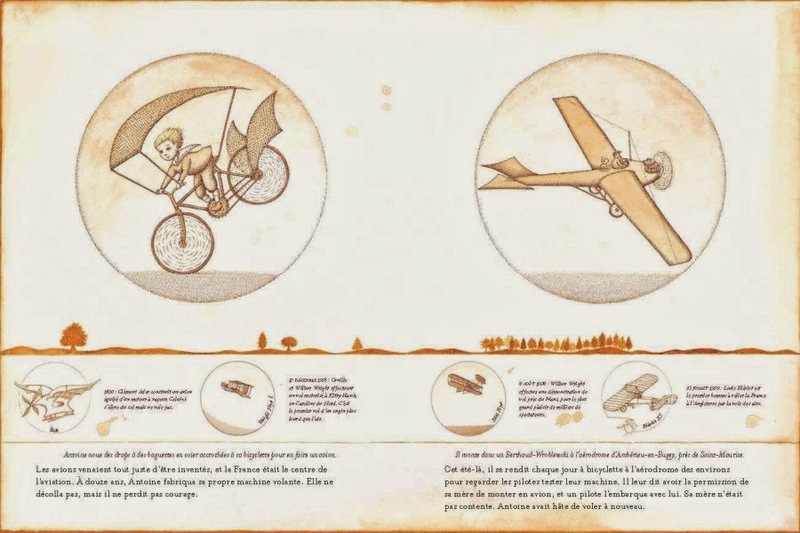 And as you explore the various illustrations depicting Saint-Exupéry's life on each page, you will no doubt recognize the references to The Little Prince - they may be subtle but they are definitely there. As always, Sis's illustrations are all just so spot on and exquisitely expressive. The Little Prince is one of my earliest reading memories and while I know that The Pilot and the Little Prince is not a WWII book per se, it is too hard to resist reviewing here. And Peter Sis has always been a favorite author of mine, so really I consider this book to be a marriage made in heaven: It is a beautiful tribute to a beloved author by a beloved author.